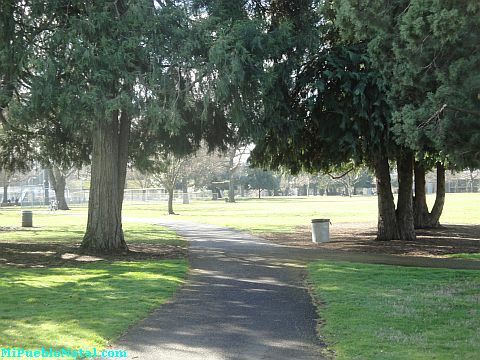 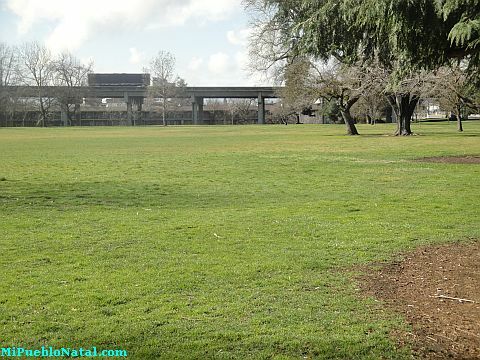 This nice park is located on Jackson Avenue in front of the Medford center where Tinseltown USA and Sears are located. 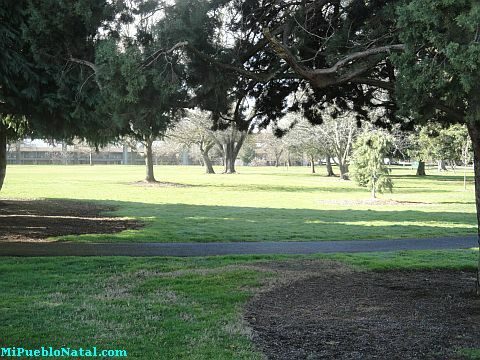 The bike trail runs along the edge of this park. 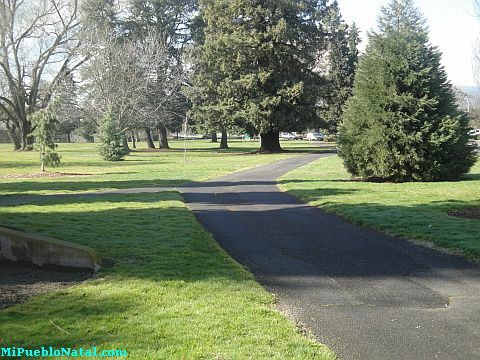 I-5 is seen at the edge of the park and below it runs the bike trail. 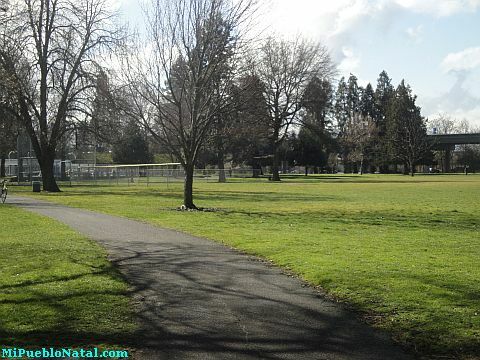 Other special keywords used to help you find this page are Hawthorn Park.